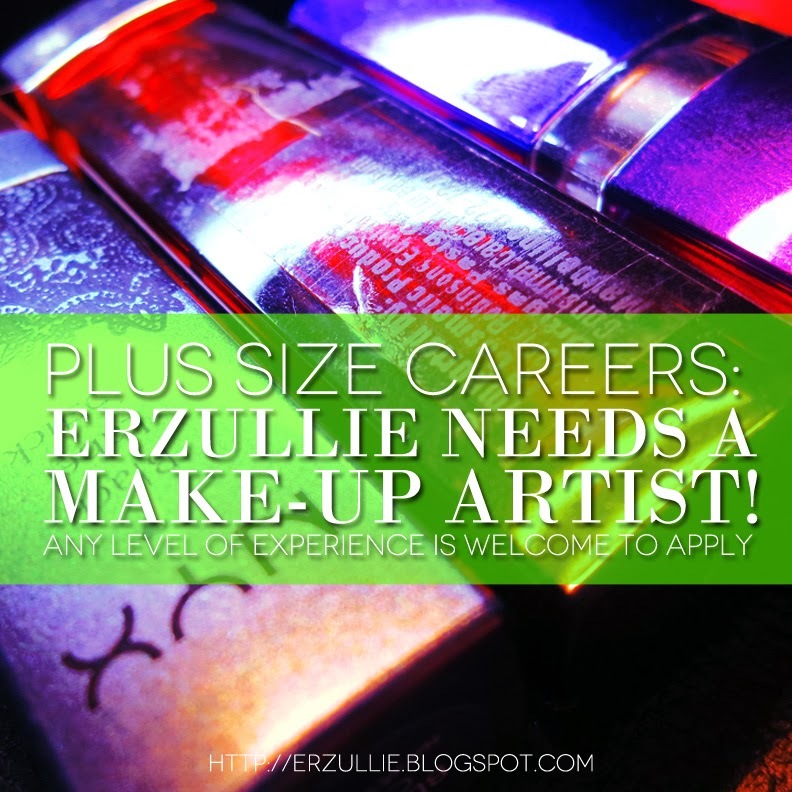 Erzullie has an opening for another make-up artist to work with for casual and light projects. The project needs a light/casual look (1 look for maximum of 4 models). Project duration is around 3-8 hours. We are looking for an additional member of our in-house team and as such must be professional to work with, socially adept, knowledgeable about the brand and the local plus size industry and must be able to travel around Metro Manila. For interested stylists please send in your portfolio to erzullie@yahoo.com with the subject: "MAKE-UP ARTIST", along with your resume and proposed pricing for the said project. This is open for any level of experience on the field. DEADLINE OF SUBMISSION is April 11, 2014, Friday. Accepted applicants will be emailed for final interview. 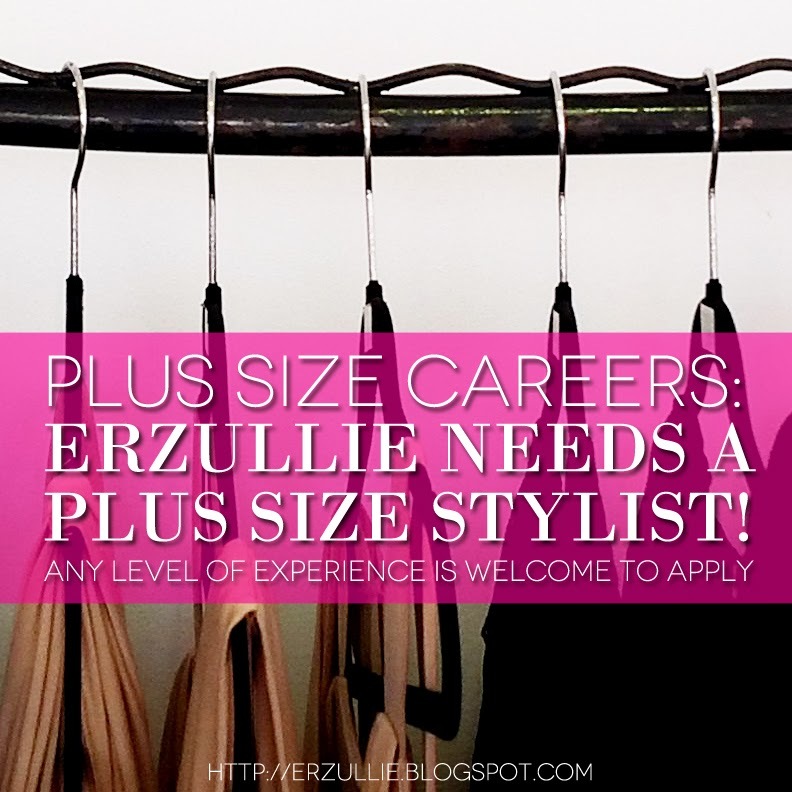 Erzullie has an opening for a plus size stylist to work with for casual and light projects. The person is tasked for the styling needs of the project's 15-30 looks during a whole day shoot 5-8 hours (inclusive of 1 hour break; food and drinks provided). 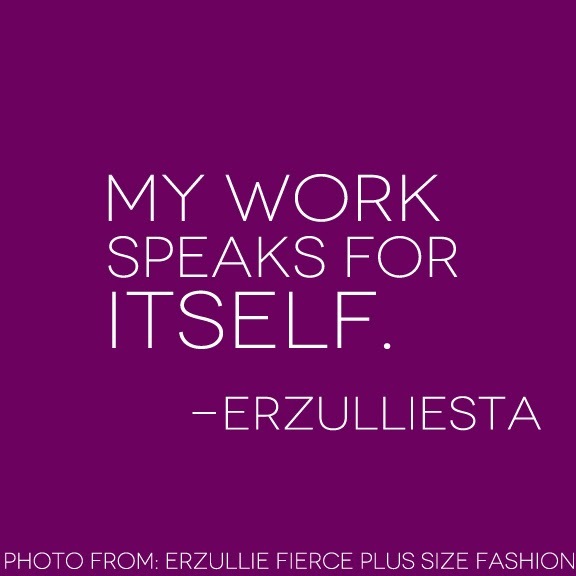 For interested stylists please send in your plus size style portfolio (of self or others) to erzullie@yahoo.com with the subject: "PLUS SIZE STYLIST", along with your resume and proposed pricing for the said project. This is open for any level of experience on the field. PLUS SIZE POWER: “MY WORK SPEAKS FOR ITSELF." Sometimes some people can’t help it. They just have to put other people down to make them feel good about themselves. How does an Erzulliesta handle it? She forgives that person, puts her shield up and just keep on dazzling people with her work. For her, she lets her work speak for itself and her optimism shine. So keep your head on the game ladies! Stay fierce! Another fierce week just happened! Here is your recap. 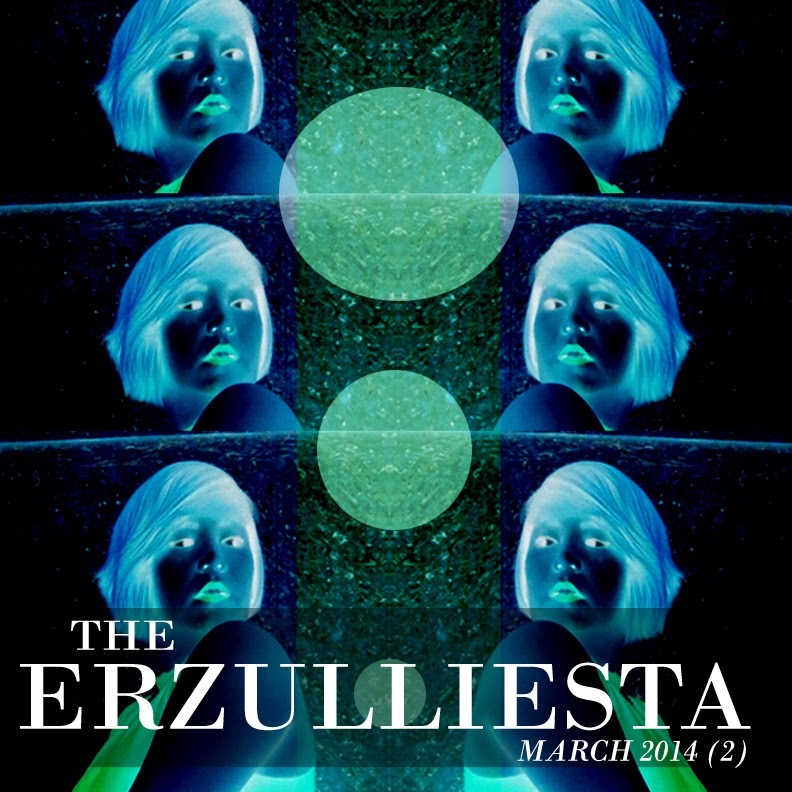 For the past issue: The Erzulliesta March 2014 (1). #1 We open with March as Women’s Month! Time to honor the wonderful ladies of our lives (and even us!). #2 In relation to that celebration, we commend the women that still works hard even with a broken heart. (Hey, it’s hard you know! But an Erzulliesta has to keep on going) But speaking of broken hearts, when do we quit when the one that we love so much keeps on hurting us? Do we quit or keep quiet? We explore. #4 Erzulliesta Mitch Cagadas shares what she wants the Pinay Curvies to become. Spoiler: It’s a very notable and noble purpose. #5 Feeling down? Here are 5 ways to feel fierce. #6 For Erzulliesta Beau Soleil’s last story about her plus size dating life, she gives us the answer to one of the toughest questions in dating --- to text or not to text? #7 Changes are inevitable as they say --- we are slowly transitioning to a new online store! #8 Summer is here and the Erzullie Resort 2014 is about to be launched online. So how did it come about and why is it so different from the last? #9 Erzullie Icon and Plus Size Model, Loren Monares, shares with us how to look “Neat and Ti(e)dy in this plus size style.